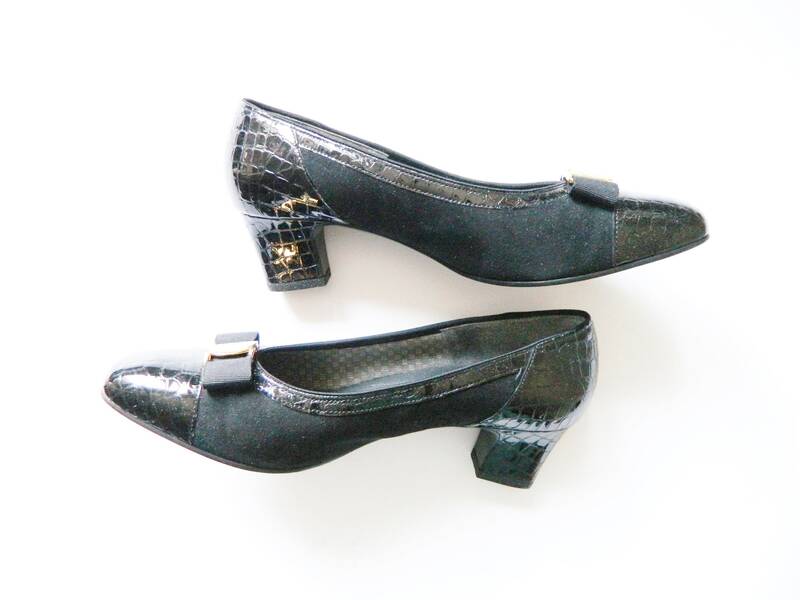 Pumps made of genuine embossed leather and gold-coloured buckle. 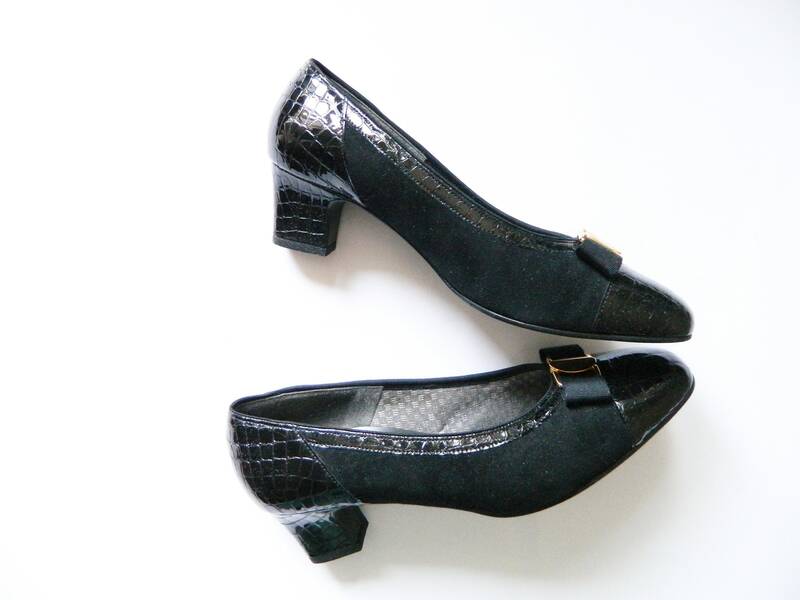 Convenient heel and good quality, by Ara. Very good vintage condition. 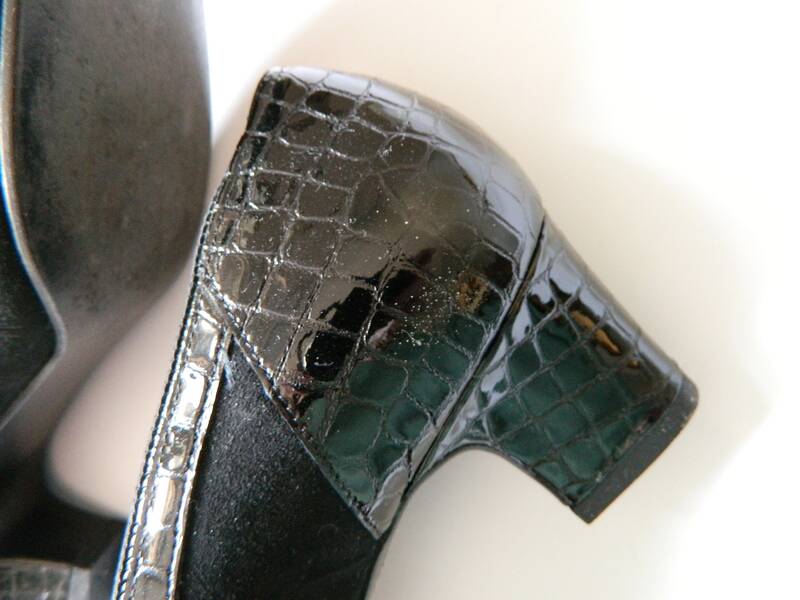 Shoes in black, real stamped leather and golden-coloured buckle. 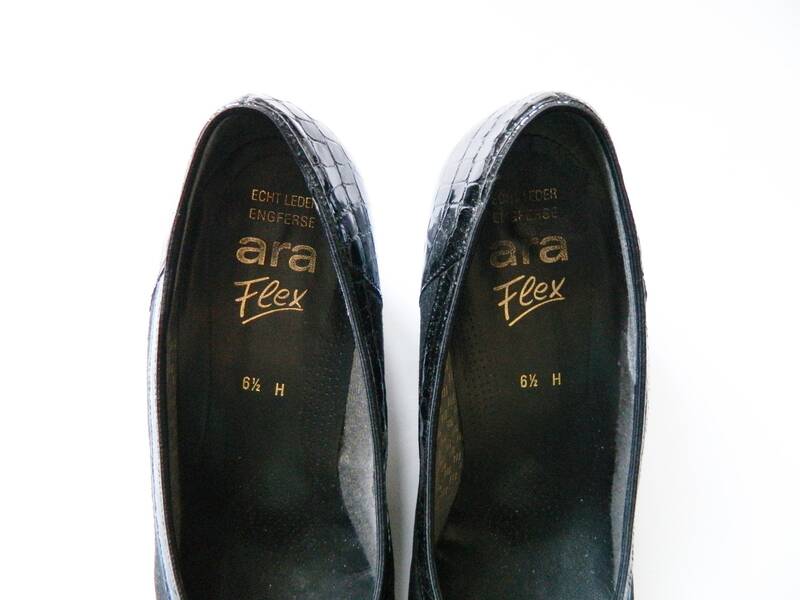 Comfortably and good quality, from Ara. Very good vintage condition.